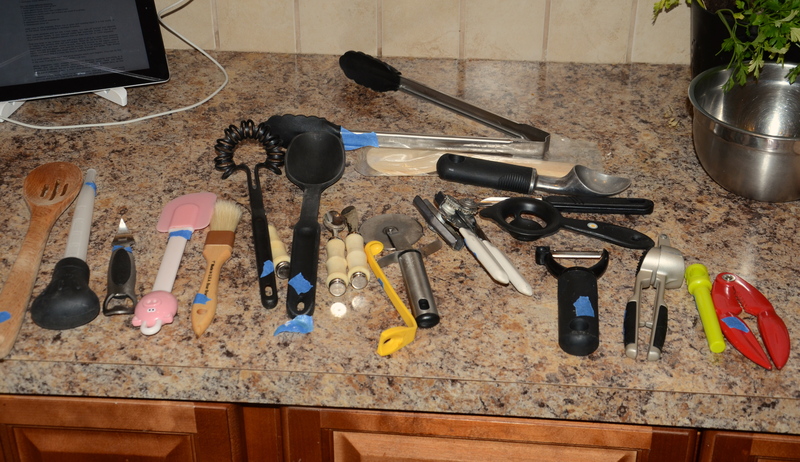 I may have fallen behind on my blogging schedule a little bit, but I didn’t miss revisiting my kitchen utensils, exactly 4 months after this post, as promised. Four months after marking these items with blue tape, they had not been used once. The pile of pieces with blue tape remaining was substantial. I honestly thought it would be even larger! Upon assessment, I decided I couldn’t get rid of everything. The one slotted wooden spoon that hadn’t been used? Way too useful. The seafood cracker? It made sense that we hadn’t necessarily needed it in a four-month period, but I wanted to keep it around for the future. Lobsters have been dropping in price, you know. 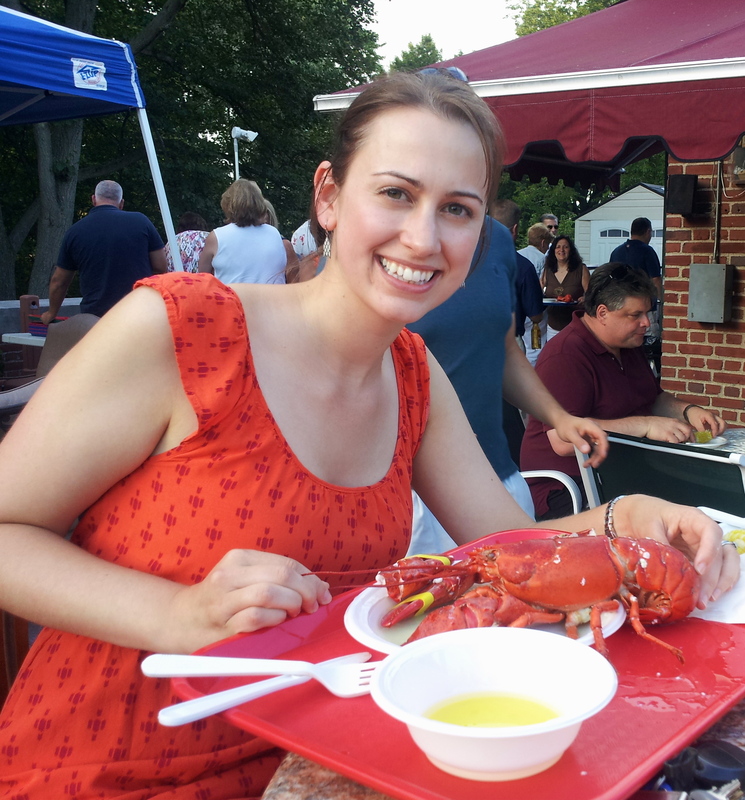 And I had, in fact, enjoyed shellfish such as lobster–just away from home. The lobster and I wore the exact same color; how embarrassing! Toss the pig spatula? No way! That belongs in a separate category for my pig collection anyway. My husband was doubtful that I would get rid of anything. But he was wrong! I gathered up the unwanted pieces and…offered them to his sister as a birthday present. (Hey, I didn’t hide that they were used. And she even seemed excited!). For the record, all of our tools still don’t even fit in one holder…or two…plus two drawers. So life is just a little simpler now.